NOTHING TO WEAR SLOGAN TOP T-SHIRT NEW LADIES FIT GIRLS CELEB JESS INSPIRED. 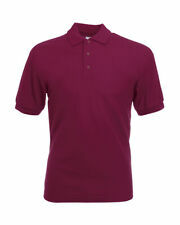 Genuine Fairline Boats Polo Shirts. New premium short sleeve polo top made by Fruit of the loom. for Boat Owners, Captains and Crew. Hoonigan Hoodie Motorcycles/Cars Logo Great Colours! SECURITY T-Shirt Tee Work Workwear Staff Doorman Unisex Bodyguard Bouncer Guard. 3XL Doctor who Long Sleeved Top 58 In Chest. Brand new without tags. Dispatched with Royal Mail 2nd Class. St George Mens Vest TOP T-shirt Sport GYM England English Football, Red Cross. Ducati Hoodie Motorcycle Logo Great Colours!